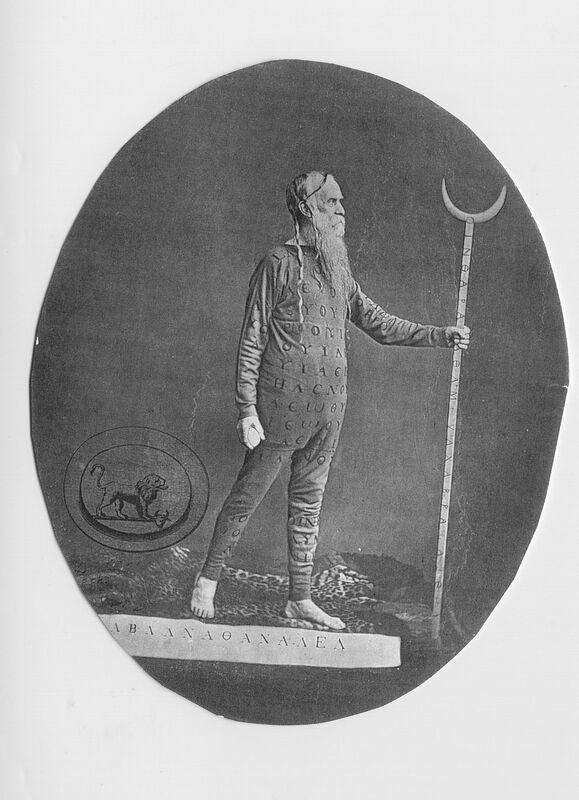 William Price, born March 1800, was a bizarre and flamboyant man – druid, doctor and wearing of foxskins who became famous for both his crimes and his cremation. He was a Chartist and republican, who ate no meat, drank mainly champagne, eschewed the wearing of socks and prescribed a vegetarian diet for his patients instead of medicine. William trained to be a doctor from age 13, later studying at St Barts and became a member of the Royal College of Surgeons before the age of 22. After further study in anatomy and physiology he returned to Wales to live and work in 1821. A strain of eccentricity, even of insanity, ran in his family and this began to show itself in his behaviour. 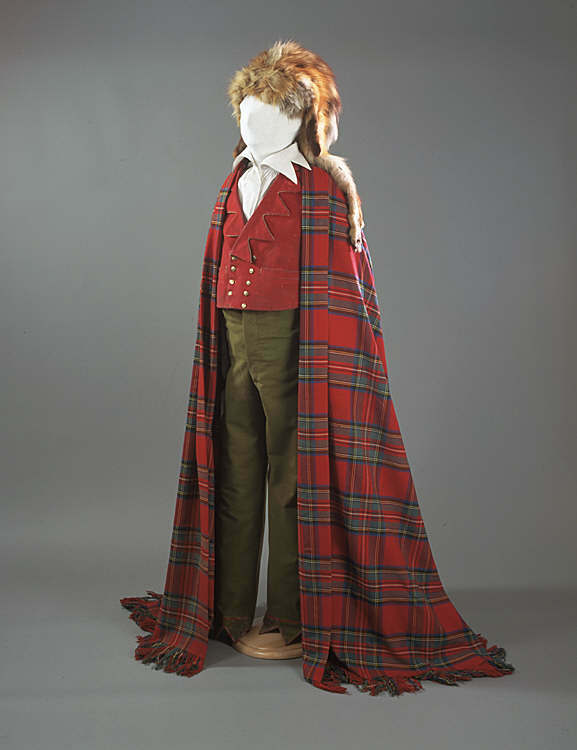 He dressed in a white tunic with green trousers, red waistcoat and a ‘shaman-style’ fox-skin headdress with the legs and tails hanging down over his shoulders and back. His hair was worn long in plaits and, in these early years, he had the rather habit of racing, stark naked, over the hills around Pontypridd. An advocate of what was, in effect, an early example of the health service – he believed that patients should pay him when they were well and he would then treat them when they fell ill – Price was elected as the private medical practitioner to a group of workers at the local chainworks. They paid him with a weekly deduction from their wages. Dr William Price had little time for marriage, feeling that it was an institution that did little more than enslave women. He did believe, however, in free love and he fathered several illegitimate children. Falling out with church authorities over this issue on many occasions. He became fascinated by the old druidic rites and held druidic ceremonies at the rocking stone outside Pontypridd. He even began to build a druidic temple in the area, infuriating the local Methodists who went as far as to accuse him of trespass. He owned a druidic ‘onesie’ which was sea green covered with red ‘druidic’ symbols which he completed with his crescent moon staff, and was known to wear this combo to court. William was active in the Chartist movement and fled the country to escape capture for his political activity to France. He claimed to have had an enlightening druidic experience in the Lourve, interpreting the hieroglyphics on an ancient Greek stone he foresaw the future of the rise of the Druid people. He named himself the Son of the Primitive Bard, a high order of druid, and the prophecy claimed his son would be the next ruler of the earth. At the age of 83-years-old he fathered a son by Gwenllian (26), naming him Iesu Grist, Welsh for Jesus Christ. 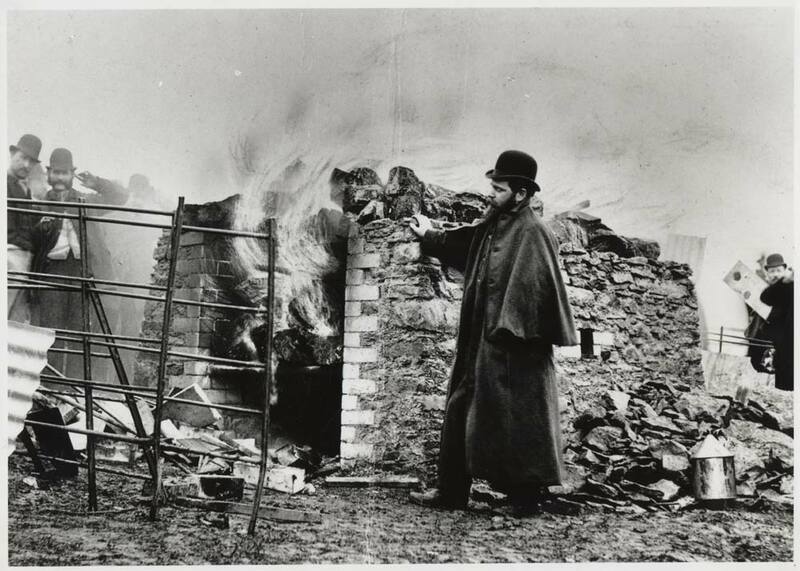 When Iesu died in 1884, aged just five months Price was heartbroken, he cremated his body on an open pyre in a field at Llantrisant. He may have wanted to follow druidic practices and dressed in his flowing druids robes he timed the cremation to coincide with the conclusion of chapel services in the town. After fathering several more children, Dr William Price died on 23 January 1893. 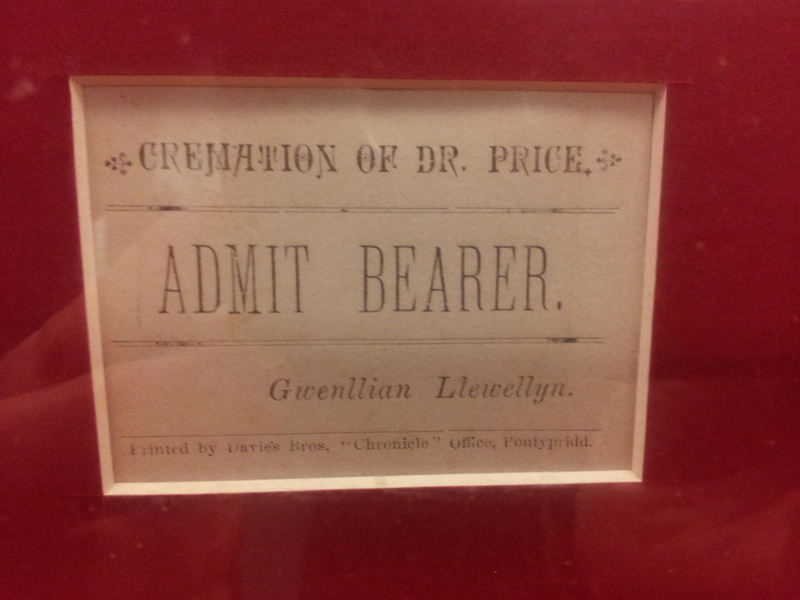 His body was cremated in front of many thousands of spectators – some estimates being as high as 20,000 – who flocked to Llantrisant to witness the event. His wife sold tickets to the event and the police were present to control the crowds. 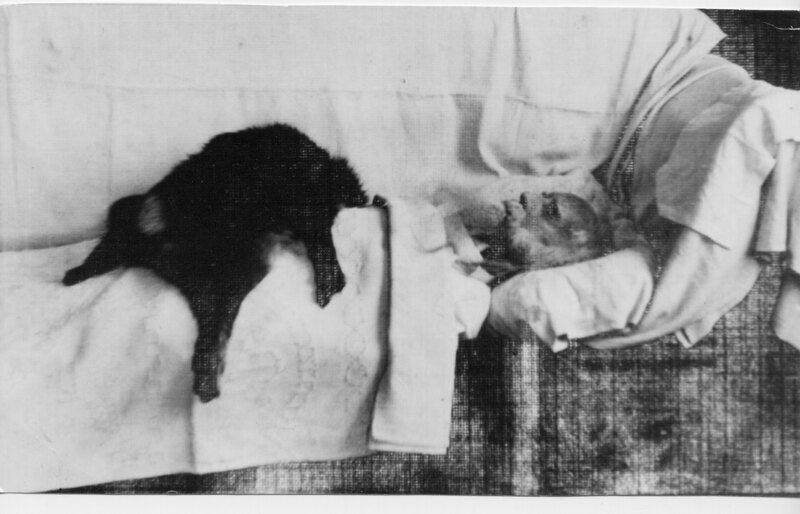 Several tons of coal and wood were piled up underneath the corpse in order to make it burn more effectively. 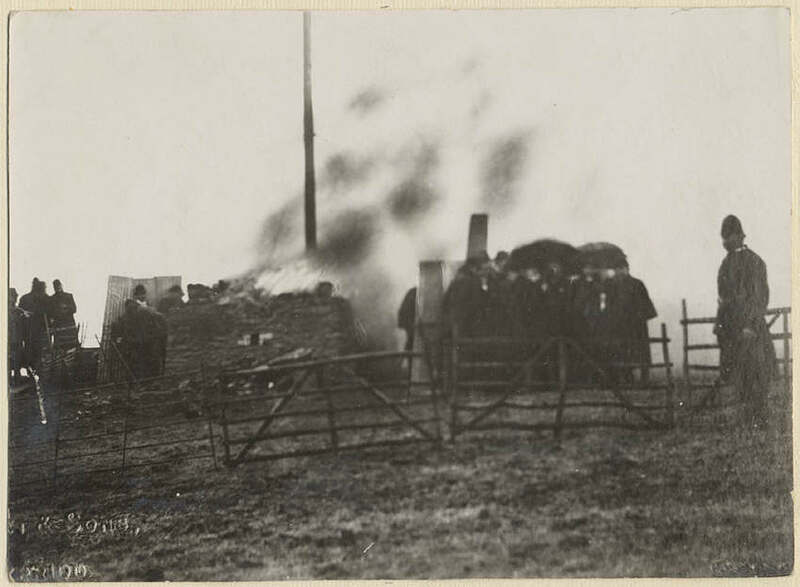 This was the first ever legal public cremation in Britain. Records state that all the pubs in Llantrisant ran dry on the day of the cremation. Cremation in Britain was legalised in 1902.